Kamran Scot Aghaie received his Ph.D. in History, from the University of California, Los Angeles, in 1999. He is associate professor of Iranian History and Islamic Studies at the University of Texas at Austin, and is currently serving as Director of the Center for Middle Eastern Studies. 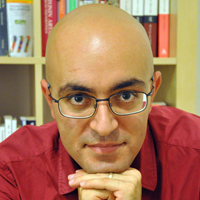 His main publications include The Martyrs of Karbala: Shi‘i Symbols and Rituals in Modern Iran. (Seattle: University of Washington Press, 2004) The Women of Karbala: The Gender Dynamics of Ritual Performances and Symbolic Discourses of Modern Shi‘i Islam. (Austin: University of Texas Press, 2005), and the forthcoming multi-authored book Rethinking Iranian Nationalism and Modernity (Austin: University of Texas Press, 2014), which is co-edited with Afshin Marashi. His research interests include Modern Iranian History, Islamic Studies, Shi'ism, Gender Studies, Historiography, Religious Studies, Nationalism, and Economic History. He teaches courses on Iranian history and historiography, Persian Studies, and the history of Islam and Muslims. Sussan Babaie has just taken up a newly established teaching post in Asian Arts at The Courtauld Institute of Art in London, focusing on the history of the arts of Iran. She has taught at Smith College, University of Michigan and the Ludwig Maximilian University in Munich. Babaie has a BA in graphic design (Tehran University), an MA in the history of Renaissance arts (American University, Washington, DC), and a PhD in the history of Islamic arts (Institute of Fine Arts, New York University). Her publications include the co-authored Persian Drawings in the Metropolitan Museum of Art, (1989), Slaves of the Shah: New Elites of Safavid Iran (2004), and Shirin Neshat (2013). 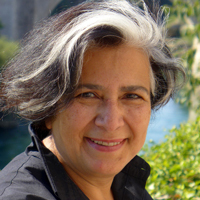 She is the author of the award-winning Isfahan and Its Palaces: Statecraft, Shi‘ism and the Architecture of Conviviality in Early Modern Iran (2008) and the recipient of grants from the National Endowment for the Humanities, the Fulbright (Egypt and Syria) and the Getty Research Institute. 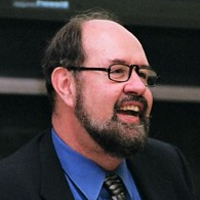 William O. Beeman is Professor, Dept. of Anthropology, U. of Minnesota. He is Past-President, Middle East Section, American Anthropological Assn. and Former Director of Middle East Studies, Brown University. His publications include Language, Status and Power in Iran; Culture, Performance and Communication in Iran (Indiana University Press, 1986),The “Great Satan” vs. the “Mad Mullahs”: How the United States and Iran Demonize Each Other (The University of Chicago Press, reissued 2005), and Iranian Performance Forms: Keys to Iranian Culture (Mazda Publishers, 2011), and more than 100 scholarly articles and 600 opinion pieces. A Middle East Specialist particularly on Iran, he has also conducted research in Japan, India, Nepal, China and Europe. 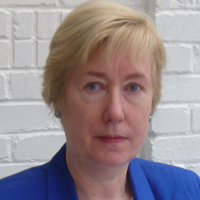 Stephanie Cronin received her PhD from SOAS in 1992. She has taught at SOAS and at Cambridge University and was an Iran Heritage Foundation Fellow at Northampton University for many years. She is now lecturer in Iranian History at the Faculty of Oriental Studies, University of Oxford, and a member of St Antony’s College. She has published widely on modern Iranian political and social history and has organized a number of conferences, topics including the reign of Reza Shah, the Iranian Left, “History from Below”, Iranian-Russian relations and anti-veiling campaigns. She is the author of Armies and State-building in the Modern Middle East: Politics, Nationalism and Military Reform (I. B. Tauris, 2013); Shahs, Soldiers and Subalterns (Palgrave Macmillan, 2010); Tribal Politics in Iran (Routledge, 2006); and The Army and the Creation of the Pahlavi State in Iran, 1910-1926 (I. B. Tauris, 1997); and editor of Iranian-Russian Encounters: Empires and Revolutions since 1800 (Routledge, 2012); Subalterns and Social Protest (Routledge, 2007); Reformers and Revolutionaries in Modern Iran (Routledge, 2004); and The Making of Modern Iran (Routledge, 2003). 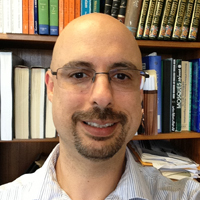 Assef Ashraf is a PhD candidate in the Department of History at Yale University. His dissertation, tentatively titled “From Khan to Shah: The Formation of Qajar Iran, 1785-1848,” explores how the Qajars established their rule and governed Iran following the turbulent eighteenth century, with particular emphasis on the Fath ‘Ali Shah period. The dissertation draws upon published and unpublished Persian archival material, as well as British, Russian, Ottoman, and French diplomatic archives. More broadly, Assef is interested in comparative empires, travel literature, and the political economy of gift-exchange. He received his B.A. in 2005 from New York University, where he was the recipient of the Rumi-Biruni Prize for excellence in Persian Studies. 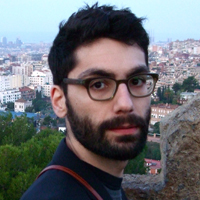 He currently serves as the Iran and Persian Studies Field Editor for Dissertation Reviews. Bavand Behpoor did a Master of Architecture at Shiraz University in 2005 before doing a second MA in the field of Contemporary Art Theory at Goldsmiths College, University of London. He has taught at various art universities in Iran and abroad, including Honar University, Tehran, FU Berlin and LMU Munich. His works as a translator into Persian include Alain Badiou’s Ethics, and Oscar Wilde’s The Soul of Man under Socialism. His writings, which mostly take a cultural studies approach, have appeared in Farsi and English in international journals such as Third Text and Pages. As an art advisor and curator, he has worked with galleries in Tehran and curated part of the Taipei Biennial 2012 in collaboration with Reza Abedini. He is currently a PhD candidate in Art History at Ludwig Maximilian University, Munich and a recipient of a MIMESIS fellowship.